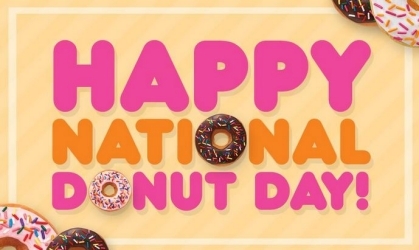 ATLANTA, GA – Friday, June 5th is National Donut Day and Dunkin’Donuts will commemorate the holiday by offering guests a free donut* of their choice (while supplies last) with the purchase of any beverage. The offer is good all day on June 5th at participating Dunkin’ Donuts restaurants nationwide. Additionally, the brand has introduced a cool new way the cookie crumbles for Dunkin’ Donuts guests just in time for National Donut Day. On June 1st, the brand announced two delicious new donut varieties available for a limited time, the Chips Ahoy!® Crème Donut and Chips Ahoy!® Crunch Donut. The Chips Ahoy!® Crème Donut is a yeast shell filled with cookie dough flavored buttercreme, frosted with chocolate icing and dipped in crumbled Chips Ahoy!® cookies. The Chips Ahoy!® Crunch Donut is a yeast ring frosted with chocolate icing and dipped in Chips Ahoy!® cookies. 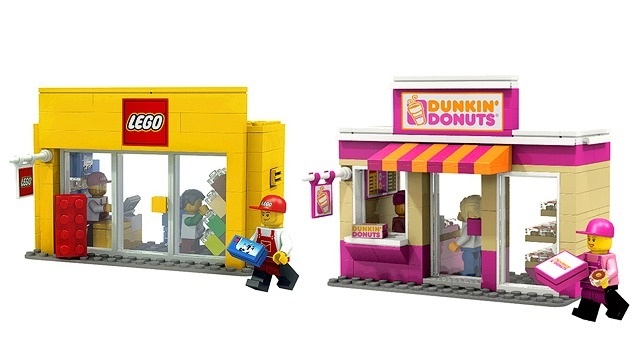 In addition there's exciting partnership between Dunkin’ Donuts and LEGOLAND Discovery Center Atlanta just in time for summer. Families can now visit a participating Dunkin’ Donuts location to enter the #DDrawYourBuild Sweepstakes and pick up a Kids Go Free coupon! One lucky grand prize winner of the #DDrawYourBuild will receive a Stay and Play Package including a one night hotel stay, a $200 gas gift card, a special one-on-one build with Master Model Builder, a behind the scenes experience at the attraction and a family four pack of Annual Passes to LEGOLAND Discovery Center Atlanta! An additional five second prize winners will receive a family four pack of Annual Passes to the attraction, and 10 third prize winners will receive a four pack of tickets to the attraction! Check back on our social media pages to see if you are selected as the winner!